After an amazing 5 days exploring what Switzerland has to offer, it was time to head back to London. The outbound journey was from London Heathrow to Zurich on BA but a trip report was not planned given that I have posted a couple of trip reports with them previously and the experience was pretty similar being another inter-European flight. When booking was made, SWISS offered quite a good deal from Geneva to London City (£30) and as LCY is my preferred airport in London given the proximity and convenience to where I live, it was a no-brainer with the fare. I was very much looking forward to the flight after booking was completed as it will be my first flight on the A220 (previously Bombardier CS100) besides LX being an airline I have yet to fly. Day of departure, arrived at GVA via public bus. First look inside the terminal building, one of the smaller airports I have visited thus far. Skipped the check in kiosk to print my boarding pass as I headed to the SWISS counters with pretty much no queue to get the non-flimsy version even though I had not purchased check in luggage (no bag drop needed) and the lowest fare type on LX does not come with any additional offerings ala LCC. Security clearance next after I secured my boarding pass. A rather long queue at that time of the day but it moved pretty swiftly thanks to the good amount of rows of scanning machines in operation. The allocated gate for my flight was at the B concourse which is situated at a remote terminal building connected by an underground walkway. B34 for my flight to London City. The B concourse is a circular building with multiple gates around the circle mainly catered for smaller aircrafts. Boarding was called after a brief wait and my first impression was that the aircraft looked sleek and fresh. Note the interesting 2-3 configuration that is pretty unusual. Decent legroom for this short flight. Safety cards still bare the old aircraft type name (now the Airbus 220). Thumbs up to the additional storage spaces below which nicely accommodates my iPhone. 🙂 Window seat view <3. A feature on the SWISS A220 that I found nice to have, the overhead non-personal screens which was very good in definition where the safety demo and flight route were screened. Seat pocket content shot. Boarding was completed in no time given the rather light load of the flight but there was a delay for push back as the wait for the engine start up truck took longer than expected. Taxied to the runway for departure post engine start up. Glorious view during the initial climb from GVA. SWISS’ lowest fare bucket does not include in flight meal but does come with complimentary water and also chocolates which is appreciated. Swiss chocolates were offered from a basket and the cabin crew happily asked me to help myself when I asked if it was possible to get 2. SWISS branded and tasted yum! A visit to the loo on the A220. It was pretty huge with space to roam around and does not feel restrictive like some of the washrooms on other aircraft types. View from the back of the aircraft. Asked for more water post service and was given a small bottle by the crew, which is very much appreciated as very few airlines offer individual bottles nowadays. In a blink of an eye, the short fly is approaching its end, flew past the City (spot the Gherkin on the left!) upon descending into LCY. Touched down at LCY a few minutes ahead of the scheduled time of arrival despite the delay in push back earlier. Ready to disembark after the ”LCY style semi-U turn” every aircraft have to perform as they park at the bay (meaning no push back is required when the aircraft if ready to leave). Final look at the A220 which also marks the completion of my virgin A220 flight. For the fare I paid for this flight, I felt that overall it has achieved my expectations. 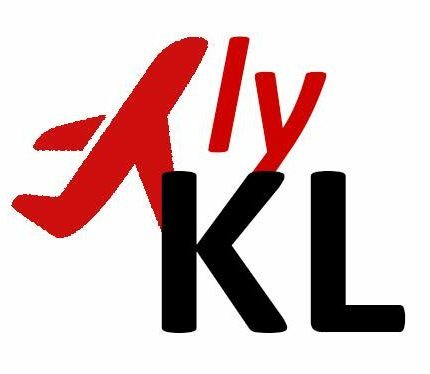 The soft product was impressive with very friendly cabin crews all around and despite being a short flight, the service did not feel rushed at all. In terms of the hard product, the seats on the SWISS A220 were pretty comfortable with good amount of personal legroom and space and I particularly liked the seat design which I felt was fit for purpose. As I was sited on the left hand side of the aircraft with only 2 seats compared to the right hand side with 3 seats my views on comfort and space might be slightly biased. The fact that chocolates and water were served despite purchasing the lowest fare type is a plus given that most rival/neighbor full service airlines do not even bother to give out anything at all on similar flights. I personally liked the shared overhead screens very much where the flight path and route details can be tracked even though it was a short flight in a small aircraft. All in all, I had a short but sweet time with SWISS and I hope to be able to try their long haul product as well down the road.